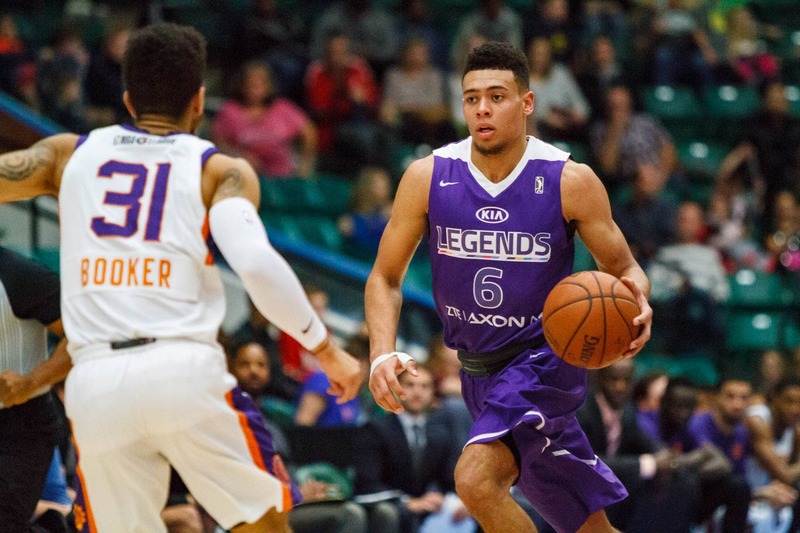 Wade Baldwin IV came to the Texas Legends in a unique situation, but he’s made the most of his opportunity. In 2016, Baldwin IV turned pro after one season at Vanderbilt and was selected 16th overall in the 2016 NBA Draft by Memphis. However, after one season with the Grizzlies where he played 33 NBA games in the regular season and three more in the playoffs, Memphis released him last October. Portland quickly signed him to a two-way contract, which means Baldwin IV could spend a maximum of 45 days in the NBA while playing the rest of the season in the G-League. But since the Trail Blazers don’t currently have a G-League affiliate, they had to find a spot for Baldwin IV to log steady minutes, which is where the Legends come in. And helping develop his players to where they can handle the rigors of the NBA is one of MacKinnon’s most important tasks as the Legends’ boss and one he takes quite seriously. In 14 games with the Legends this season, Baldwin IV averaged 18.7 points, 8.4 rebounds, 4.6 assists and 1.9 steals per game. Those are impressive numbers from the 21-year-old New Jersey native, but there’s something else he’s really enjoyed about playing for the Legends. Not only has he bonded with his new teammates, but he’s also forged a great relationship with Legends assistant coach Eric Snow, himself a former NBA point guard, the same position Baldwin IV plays. Snow played in the NBA Finals three times and coached in the college ranks before joining the Legends staff last summer. Baldwin IV visits Snow and his family each Sunday, experiences which have made him feel more comfortable in his new surroundings and have also helped him rediscover his love for the game. 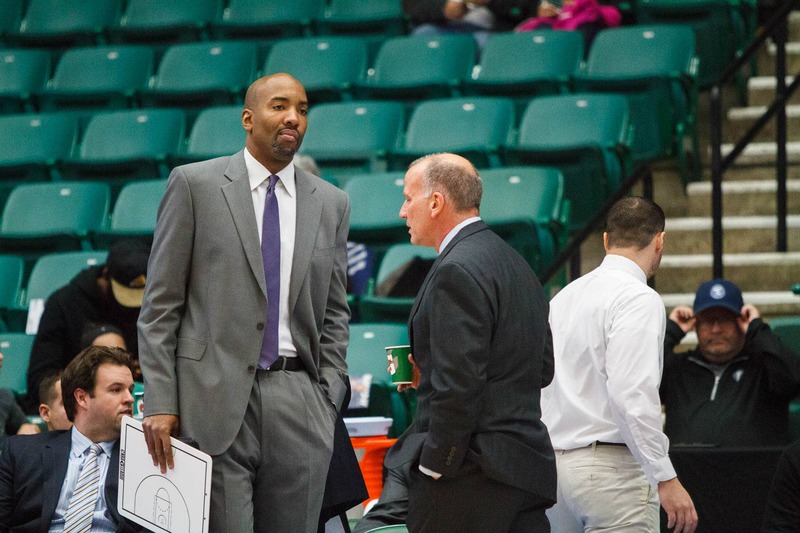 And Snow, who is in his first season as a Legends assistant coach, has immensely enjoyed getting to know Baldwin IV both on and off the court, and sees an immense upside in him. Baldwin IV was roundly criticized by Memphis fans for being a first-round bust who was released by the organization after just over a year with the Grizzlies. But he’s made peace with what happened there and now sees being released by the Grizz last fall as a huge blessing. 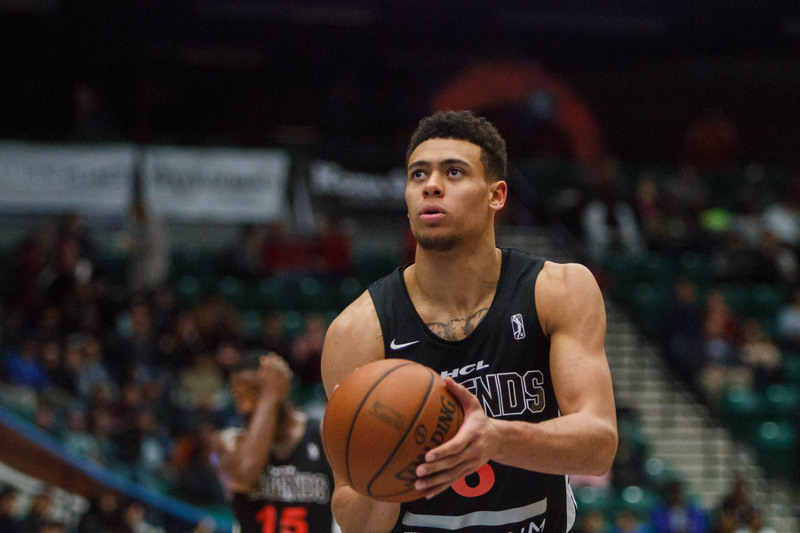 In the immediate future, Baldwin IV will leave the Legends and head to Portland, where he will play for the final 45 days of the NBA regular season. His exact departure date has yet to be determined, but when he does join the Blazers, he resolves to do several things in his NBA return. And after doing some great things on and off the court with the Legends, Baldwin IV now feels confident and comfortable with where his game is currently at, and has no doubt he has plenty to offer the Blazers once he arrives in the Rose City.